With a strong neighborhood identification, Whiteaker neighbors launched an annual “Whiteaker Block Party” on the first Saturday of August in 2008. Each subsequent year it has expanded to where it is now a large festival that includes four blocks closed to traffic, 6 major music stages with numerous smaller ones, art workshops for children, arts and crafts booths, and a number of food booths and approximately 8000-10,000 attendees. 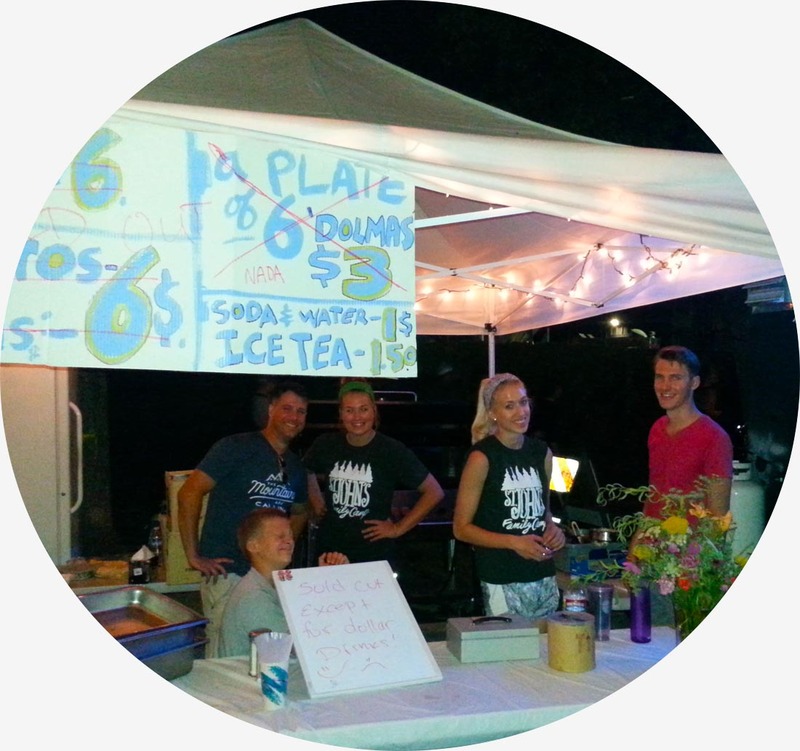 St. John began participating in 2012 with “The Onion Dome,” an all-volunteer food booth, with proceeds going to the St. John the Wonderworker Building Fund. On this day, we also offer free valet bicycle parking, Russian bell-ringing demonstrations, church tours, and Pilgrim’s Way Bookstore is open. Given that the Block Party always falls on the first Saturday of August, the day always gets started with the First Saturday Neighborhood Breakfast.